If you thought you knew God, but were not taken in the rapture of the church, you will be understandably devastated and confused. True salvation is found in Jesus Christ alone – by grace, through faith. True faith is demonstrated by works, in that the deeds reveal the true belief of the heart. It always has been, and always will be, about the heart. We cannot earn or maintain our own salvation – it is the finished work of Jesus through His death and resurrection. We must always examine ourselves, to see if we are in the faith. It seems that the Holy Spirit’s sealing ministry will not be keeping you in the faith after the so-called “church age” ends, so you must continue to earnestly seek it. Pray for faith, wholeheartedly, every day. In Jesus’ instructions to you, we are going to examine a parable that He told and a prophecy that He gave which both pertain to who will be qualified to enter His Kingdom. The bridegroom in this parable is Jesus Christ, and it is speaking about His return. The virgins are all expecting the bridegroom to come at some point, and thus have awareness of him (“believe” in him). They are waiting. He is taking so long that all of the virgins are sleeping when the sign of His imminent arrival appears. The fact that they are sleeping isn’t the issue. The problem is that some of them haven’t properly prepared, and “run out of oil”. They realize this, and scramble to get ready at the last second, but it is too late. This parable follows the Jewish wedding tradition. In tradition, a young man would approach a young woman’s father to ask for her hand in marriage. If the father accepted, the young man would pay the “bride price” and the two would now be considered betrothed. The young man would return to his own father’s home and build a place for them to live in. When the young man’s father announced that the new home was ready, the young man would go to collect the bride for her wedding. Meanwhile, the bride was to watch and wait. The groom would often show up unexpectedly, and carry her away “like a thief in the night”. When the bride’s friends discovered the bride had been “snatched away”, a 7-day celebration began while the bride and groom consummated their marriage. This part in the story has already occurred. Jesus Christ paid the “bride price” for the “church” (body of Christ) through His blood sacrifice (Romans 3:25). 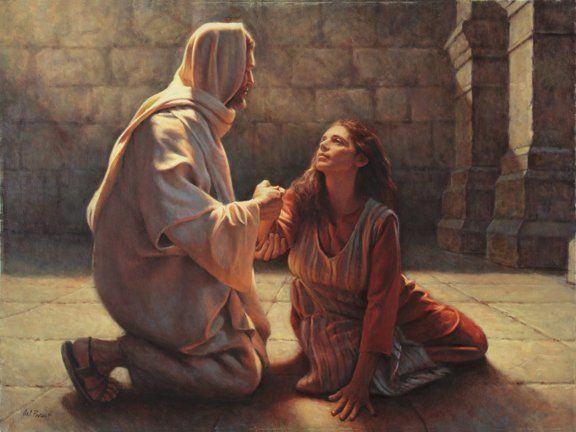 He then went to heaven to prepare a place for her (John 14:3). When it was ready and the time was right, He returned for his followers and “snatched them away” (1 Thessalonians 4). They will be safely hidden in heaven during a time of wrath on earth (Isaiah 26). And so began a 7 year time of tribulation on earth, after which Jesus will return. In tradition, after the wedding week was completed, the bride and groom would emerge and the formal marriage supper would begin. This is yet future, and will be fulfilled when Jesus Christ appears in the heavens again, followed by His holy ones (angels and the “bride of Christ” that He snatched away) (Revelation 19). Here is where we come to the 10 waiting bridesmaids, or virgins. Some of them are ready, and some are not. The ones who aren’t ready, scramble to GET ready at the last second, but miss entrance to the wedding supper. They are refused admittance. There is no second chance, and the bridegroom denies even knowing them. When we search the Bible, we find that “oil” is symbolic of the Holy Spirit. All the bridesmaids start out with “oil” in their lamps – they all believe in Jesus at some point. Whether the parable is meant to state that they are all “born again” and anointed by the Holy Spirit or not, I am not sure. However, the Holy Spirit’s anointing is no longer permanent after the “church age” closes. It will be possible to “lose” your salvation. Only those who hold firm in their faith until the end will be saved. You won’t have time to “make things right with God” when the sign of Jesus’ return appears. You must live your life in such a way as to always be ready. Jesus issues a final warning between the 6th and 7th bowl judgments – (“Behold, I am coming like a thief! Blessed is the one who stays awake, keeping his garments on, that he may not go about naked and be seen exposed!”) Our “garments” are on when we are clothed in the blood and righteousness of Jesus Christ (Isaiah 61:10), which is salvation. If you are watching and waiting for Jesus to return, be encouraged that “you are not in darkness, brothers, for that day to surprise you like a thief. For you are all children of light, children of the day. We are not of the night or of the darkness.” (1 Thessalonians 5:4-5 ESV) If you study the signs around you and the books of Revelation and Daniel, you will know the season of His coming. You will be ready for Him, and have “oil in your lamp”, if you are forgiven of your sins through Jesus’ sacrificial death and resurrection on your behalf. This description of the Sheep and Goats Judgment is another way of expressing the story of the 10 Virgins Parable. When Jesus returns, He is going to decide who will enter His earthly Kingdom and who will be denied entrance. Just as the virgins were divided into “oil” and “no oil”, people are divided into two categories. This time it is “sheep” (true believers) and “goats” (unbelievers, or false believers). We know from Matthew 12 that Jesus considers those who do God’s will to be His brothers and sisters – “Who is my mother, and who are my brothers?” And stretching out his hand toward his disciples, he said, “Here are my mother and my brothers! For whoever does the will of my Father in heaven is my brother and sister and mother.” (ESV) Thus, humanity will be particularly evaluated as to the authenticity of their salvation through how they tried to meet the needs of other believers. The specific examples Jesus gives are providing food, water, shelter, and clothing, as well as visiting the sick and imprisoned. These are the basic elements of human survival. Whatever we do for a fellow believer (or a fellow human being and “potential” believer), we do for God Himself. Those who do not have an authentic faith, or those who openly reject Christ, will demonstrate this by acting selfishly. Basic supplies will be limited and sinful human nature will struggle with “survival of the fittest”. Those who rejected Christ will be killed (sent to hell/the abyss) and await the general resurrection and Great White Throne judgment following the Millennial Kingdom. The good works are not the cause of salvation, but the effect of salvation. Salvation is, as always, by God’s grace alone through faith in Jesus Christ alone. God has called you to this time and for this purpose, and has prepared tasks for you for the sake of His glory and the purpose of His kingdom. Though heaven and earth will be destroyed someday, the word of the Lord stands forever (Isaiah 40:8). Our faith in Jesus isn’t built upon the shaky ground of human interpretation or wisdom (Matthew 7:24-27). It’s not based upon what we see or hear, or what others around us are doing. Our faith is the assurance of things hoped for, the conviction of things not seen (Hebrews 11:1). Let God be true, though every man a liar (Romans 3:4).